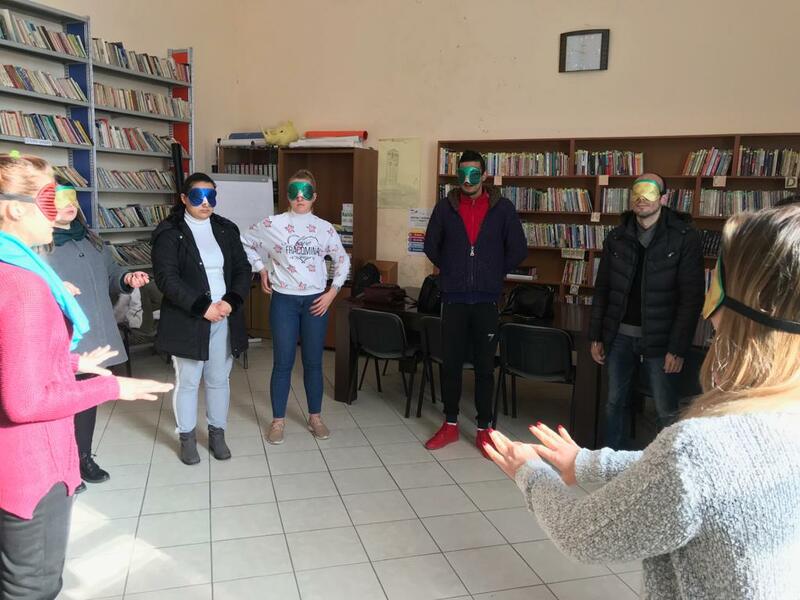 As part of the Atlas of Transitions project activities Tjeter Vizion NGO organised Forum Theatre workshops that started in January 2019 at the Children Culture center - Ex Youth Center " Riemar" in Elbasan, involving a group of 10 university students, mainly with social work background. 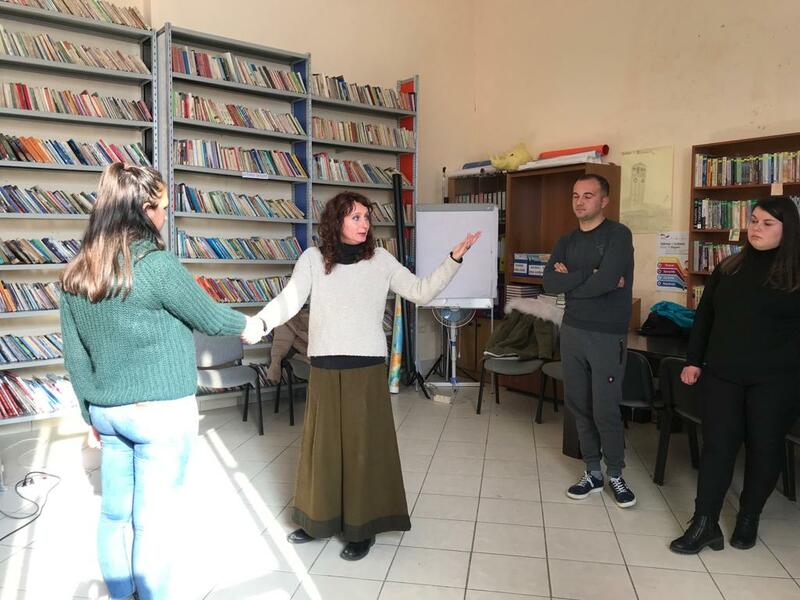 The workshop developed in seven encounters, with the aim to use forum theatre as an active tool of participation and conflict resolution. 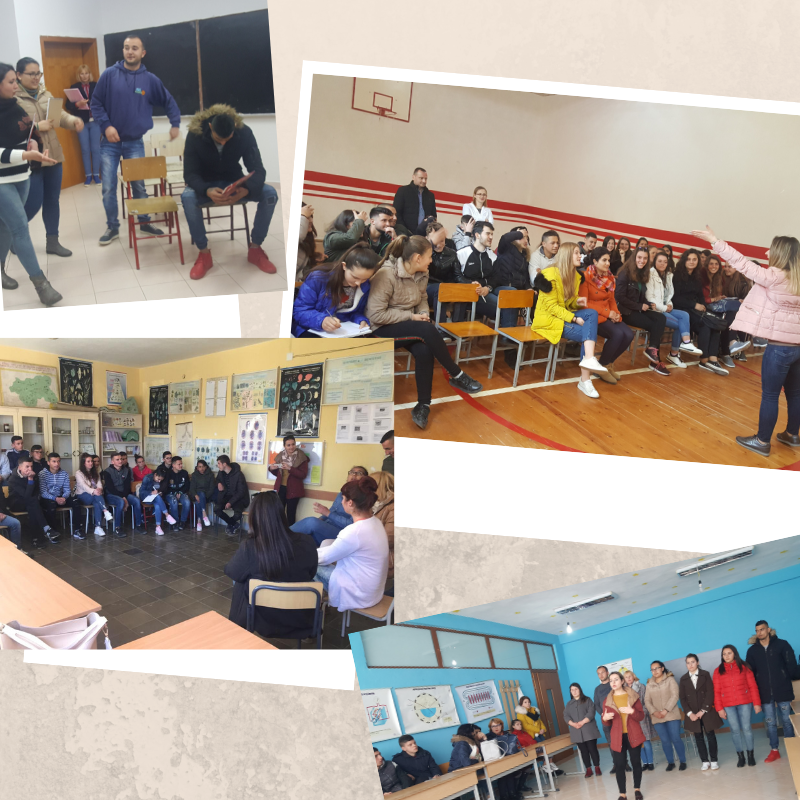 The group of participants also worked on the creation of a performance exploring solutions to discrimination and exclusion, to be presented in various high schools in February and March 2019, in Gramsh , Elbasan, Cerrik. Forum Theatre is a type of theatre created by the innovative and influential practioner Augusto Boal, one of the techniques under the umbrella term of Theatre of the Oppressed (TO). 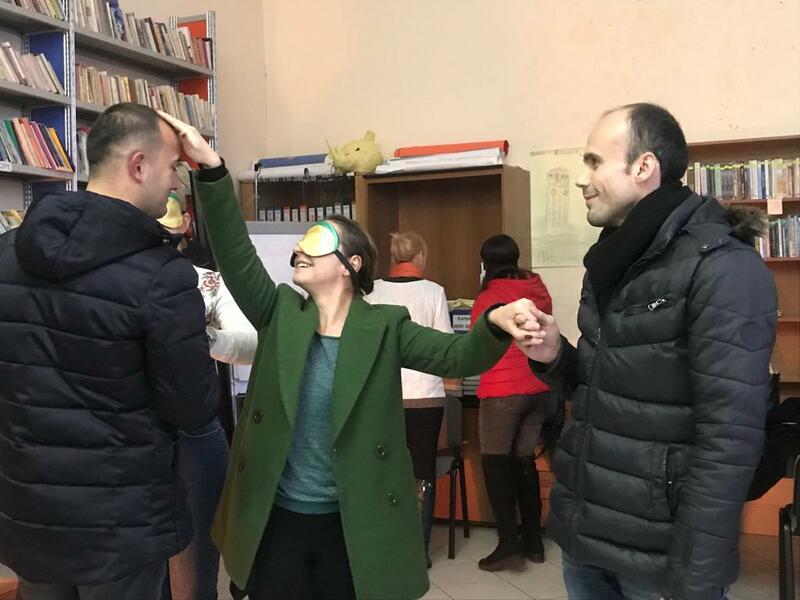 This relates to the engagement of spectators influencing and engaging with the performance as both spectators and actors, termed ‘spect-actors’, with the power to stop and change the performance. Forum theatre begins with a short performance, either rehearsed or improvised, which contains demonstrations of social or political problems. At the conclusion, the play will begin again with the audience being able to replace or add to the characters on stage to present their interventions; alternate solutions to the problems faced. The presentations include one person who acts as the ‘joker’ or Jolly, a facilitator for the forum theatre session. They are to hold an impartial view of the interventions, ask the audience to evaluate what happened at the end of an intervention, facilitate the interventions such that each spect-actor is able to complete their intervention before another is free to enact their intervention, and to be watching out for interventions which are implausible and ask the audience to decide whether the intervention is a ‘magic’ solution. Mandi is a 16 year-old boy and he belongs to the Egyptian community, for this reason he is discriminated. The performance is structured in three scenes. In the first scene Mandi is mocked by his classmates and the teacher does not know what to do. At the end of the scene Mandi leaves the school. In the second scene Mandi is sick and he is with his mother in the hospital. They are waiting for the doctor and they are the first ones of the queue. But when the doctor arrives, he lets other people pass before Mandi, openly discriminating him. In the third scene, Mandi is begging in a café and a girl insults him more and more. She calls the waiter and they throw Mandi to the ground. The schools in which the students engaged through open dialogue were already familiar with the Atlas of Transitions' project mission. 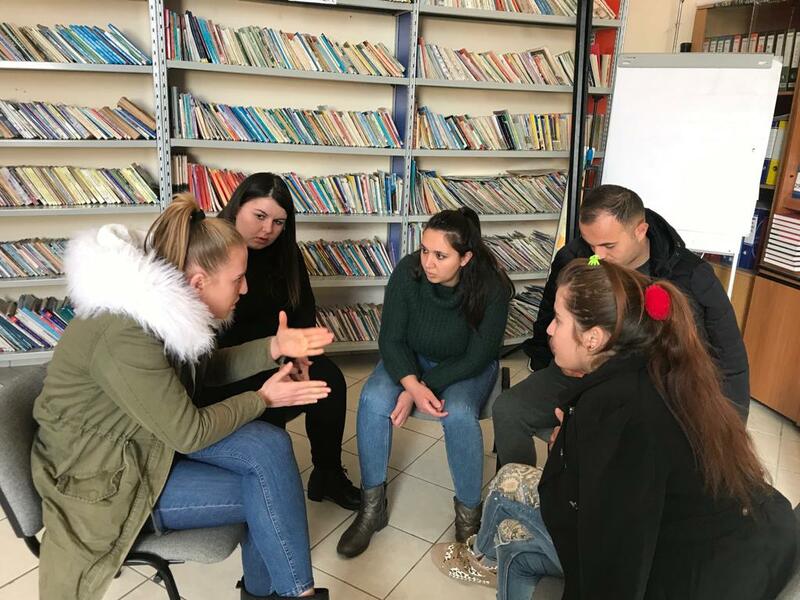 As the problem of discrimination and bullying caused by ethnic diversity and socio-economic gaps is very present in the Albanian society, Tjeter Vizion has recently conducted a study on these issues that was included in the security plan of the Elbasan municipality.